Since its launch, Pokemon GO has been a massive success. With downloads and numbers higher than any other app before it, it’s basically become the most successful mobile game in history. Heck, it’s already a good third of the way to its first billion dollars in a matter of weeks. But alas, Pokemon GO seems to have a small bump in the road. More precisely, various mobile stat sites have found the game is gradually losing a fair amount of its players every day or so, with recent figures having it as lost 10 million daily users already. So what’s going on? Why is Pokemon GO losing its popularity? Well, let’s find out! First off, let’s start with the obvious one. Namely, that the game is leaving ‘fad’ status and stabilising in its popularity. Like how Pokemon got less popular as ‘Pokemania’ died out. Or how various other fads pretty much died out completely a couple of months or years in. And heck, with Pokemon GO being the biggest mobile game in history… there really is only one way to go from here, right? Well, I guess so. Pokemon GO won’t always be the worldwide phenomenon it was when it started out. That part is inevitable. But Pokemon GO also seems to be dying out a bit quicker than some other ‘fads’ did. I mean, look at the Pokemon games themselves. They only really got that much less popular by generation 3 or so, a good three or four years after the series took off. Pokemon GO on the other hand seems to be losing popularity a little quicker than that. In July, it had about 45 million daily users. Now, it’s down to 30 million. That’s a good 10 million user drop in about a month, which is kind of worrying for the game’s future. The completely broken game balance. What do I mean by this? Well, it’s basically the kind of game you can’t do well at outside of a major city. That’s because Pokestops and gyms tend to be located where more notable buildings and landmarks are, and the amount of wild Pokemon appearing seems to be roughly in line with the number of smartphone users nearby. As a result, those who live in the country or suburbia… well, they’re probably not gonna finish the Pokedex or get to level 40 odd any time soon. The amount of Pokemon and Pokestops is just too low for that. So it seems possible that a fair few rural and suburban players are simply giving up on the game, since they know they’ll never be able to do as well as those in places like New York City or San Francisco. Niantic and the Pokemon Company shutting down various third party mapping services and what not. Like Pokevision. To some degree, this is understandable. These services work by using a dummy account to send requests to the servers and ping back information on Pokemon in a certain area. So to Niantic, it might be a convenient way to lower some of the server load. Unfortunately for them though, these maps are also kind of a necessity for a lot of players. For example, remember those rural players mentioned above? Well, the maps actually give them a decent indication of when a Pokemon might actually spawn in the local area. Without it, they’re just wandering blind and seeing hardly any Pokemon at all. So by getting rid of them, it’s made the game exceedingly hard for people in those locations. It’s also a thing a lot of urban players in those large cities appreciate too. I mean, remember all that hype over players rushing towards where a Vaporeon spawned? Or where a Dragonite appeared? Yeah, that’s much easier with these maps, and gives players in cities like London actual targets to head for and a reason to explore more of their city. Remove the three step feature that once pointed out where Pokemon would spawn, and well, it’s not hard to see why going after these maps and sites may not have been the best idea Niantic ever had. It literally reduces the game to pure trial and error. Bots, and how they’ve quickly annihilated much of the game’s only real competitive aspect. What do I mean by this? Well, there are two sides to the game at the moment. Collecting Pokemon, and holding gyms for your team. The former is something no one really cares if you cheat at. It’s like using a Gameshark to catch Mew in Pokemon Red and Blue. It’s not the ‘ideal’ way of doing things, but no one really gives a toss about it, since you’re not usually affecting anyone else. But the gyms are a different story. They’re meant so people nearby can join one of three teams and see who can hold the gym for the longest. It’s supposed to encourage people to get out and about to find and conquer them. However, with bots and spoofing, it’s now a situation where people from the other side of the world are randomly waltzing into towns, taking over ‘easy’ gyms and filling them with 1000+ Combat Power Pokemon like Dragonite, Snorlax, etc. These are far tougher than anything found locally, and mean that for local players, actually taking over a gym is far more annoying than it should be, since they’re competing with bot users from all over the world and having to fight away Pokemon far stronger than anything found locally. In some regions (like I think, Brazil), gyms were taken over by these guys mere minutes after the game went live. Heck, in some places, they’re taken over before the game goes live in a region. So yeah, it’s possible that bots and cheaters may be having an effect on the game. It’s wrecked the gyms and kind of put normal players off going for them. But all this pales compared to the last reason. The one that’s really hurting Pokemon GO. Namely, the possibility that the game simply isn’t deep enough to keep people from getting bored of it. I mean, what does it have at the moment? 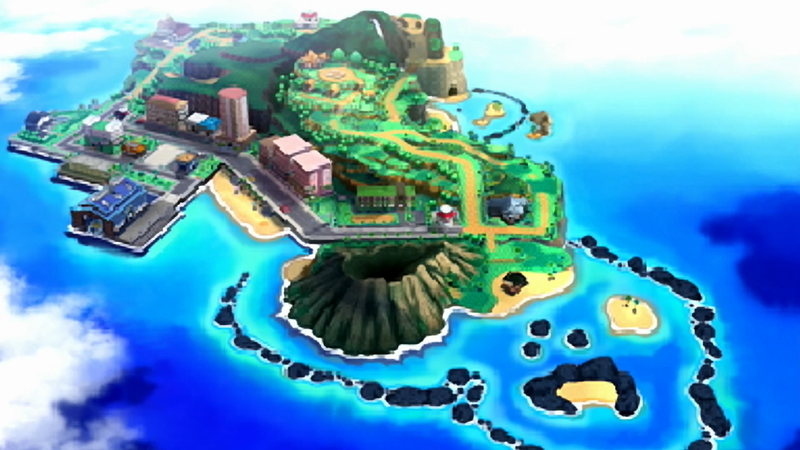 Catching Pokemon, gym battles, and very basic features from the main series. That’s not bad, but it’s certainly lacking compared to what could be. Like say, trading people for Pokemon (which helped make Red and Blue such a break out hit in the olden days), battling others outside of gyms, finding rare Pokemon in certain spots on the overworld (like the in game legendaries). Some sort of general goal for people playing on their own (that isn’t just ‘catch everything in sight). As a result, Pokemon GO simply isn’t that engaging in the long run. It’s not terrible, but in the long run, it was kind of expected that it’d start losing its popularity. The game simply doesn’t have enough going on to keep it interesting. So that’s why Pokemon GO is losing its popularity. It’s simply not deep enough, too unbalanced and too easily hacked to keep the hype going for a long period of time. Maybe it’ll get better with an update or two. Maybe not. But we’ll have to wait and see none the less. I imagine most of the hype players will be done with it by end of the year and only the strong fanboys will keep it going. New Kalos Legendary Pokemon Revealed?